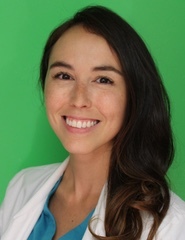 Dr. Vassilev earned her DVM degree at the University of Illinois, then completed advanced training through a one-year private practice internship in Ventura, California. Traveling to Texas, she fulfilled a residency in emergency and critical care medicine at the Animal Medical Center leading to board certification in emergency and critical care medicine in 2005. Dr Vassilev has been practicing veterinary medicine in the San Diego area for 15 years and frequents the dog parks and beaches with her six amenable dogs (see Mini’s Story). Dr. Olsen originally grew up in Los Angeles before attending UC Davis to complete her undergraduate degree. She then worked as a veterinary nurse in general practice prior to completing her degree in Veterinary Medicine at UC Davis. She moved to San Diego after being accepted into a demanding one year rotating internship program focusing on emergency and critical care. In addition, Jenna has interests in ophthalmology, radiology, zoo and exotic animal medicine. During her time away from the clinic, she enjoys playing sports and being active, going to the beach, exploring San Diego with her dog Buddha, and spending time with family and friends. Dr. Keene grew up in Boulder and attended Colorado State University to complete her undergraduate degree in Wildlife Biology. After graduating from CSU, Marshia moved to southern Florida where she worked as a Wildlife Rehabilitation Specialist for several years. She then moved to Oregon where she worked in the wine industry specializing in crafting delicious Oregon Pinot Noir and Pinot Grigio before changing course to earn her degree in Veterinary Medicine from Oregon State University. While applying to and attending veterinary school Marshia worked as a veterinary nurse at the local animal emergency hospital. After graduation she moved to San Diego to pursue a demanding one year rotating internship program focusing on emergency and critical care. Marshia cultivates additional interests in acupuncture, rehabilitation, and feline medicine, which she puts to good use now at B Street Veterinary Hospital. During her time away from the clinic, she enjoys standup paddle boarding, hiking, boxing, going to the beach, exploring San Diego, and spending time with family and friends. Lisa Grunewald was born and raised in Wisconsin and graduated from the University of Wisconsin School of Veterinary Medicine. In 1997, Lisa moved to San Diego and began a longstanding career with Crown Veterinary Hospital in Coronado. Lisa became a Certified Veterinary Acupuncturist (CVA) from the Chi Institute of Chinese Medicine in 2009. 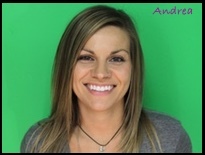 In 2011, she became a Certified Veterinary Chiropractitioner through Vomtech.com receiving professional training in Veterinary Orthopedic Manipulation (VOM) and Veterinary Low Level Laser Therapy (VLLLT). 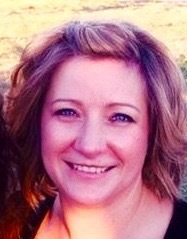 Lisa believes in an integrative approach towards healing to provide the best treatment for animals under her care. To affirm this belief, Lisa started Animal Energetics, where she applies low level Erchonia laser therapy and provides nutritional guidance and support. The goal of the business is to provide comprehensive care and well-being for domestic animals. Dr Nova was born and raised in the Dominican Republic where she grew up scuba diving, sailing, horseback riding, and volunteering at the island’s small Zoo. Her parents, both small animal veterinarians, knew the importance of exposing her to state of the art veterinary medicine in the USA. Her first experience was at the Animal Medical Center in New York City which proved eye opening when compared to the medicine that’s practiced in undeveloped countries like the Dominican Republic. Determined to be the best doctor she could, Dr Nova pursued licensure in the United States after attending UNPHU School of Veterinary Medicine. During that time, she completed numerous veterinary externships both here and abroad. In San Diego, she spent time at The Veterinary Imaging Center, SeaWorld, and San Diego Zoo. Her passion for wildlife took her as far as Laos, where she worked as an elephant veterinarian. After earning her license in the USA, Dr Nova completed a one-year small animal rotating internship program. Her interests include infectious diseases and public health, emergency medicine, wildlife medicine, and feline medicine. During her time off, she is often traveling with her husband, scuba diving, spending time with her friends and family, or relaxing at her family’s house in the Dominican Republic. Joanna Kowalska is originally from Poland where she grew up snowboarding, hiking and wakeboarding. She attended veterinary school in Poland graduating in 2009, the same year she also won the Polish Championship of Kiteboarding. It was through international competition that Dr. Kowalska earned an athletic visa and ultimately green card entry into the U.S., while her goal was always to become a certified veterinarian here. She started working as a veterinary technician in Charleston, SC in order to gain some practical experience and communication skills. 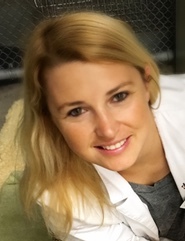 In 2016 she was accepted into Louisiana State University School of Veterinary Medicine to complete a year of clinical experience, the last step before becoming a licensed veterinarian in the U.S.
San Diego struck her as the perfect environment to combine her passions for water sports and animals, so she jumped at the opportunity to accept a position as an Associate Veterinarian at B Street Veterinary Hospital. Dr. Kowalska enjoys all aspects of veterinary medicine, but she has a special interest in internal medicine, ultrasound, and dermatology. If she is not working in the clinic you can always find her on the water, kiting or surfing, or in the mountains snowboarding or hiking. Dr. Rivard was born and raised in Michigan, just outside of Detroit. She knew she wanted to be a veterinarian from a young age, and was always rescuing and helping creatures big and small. Dr. Rivard decided to turn her love of animals into a lifelong pursuit, attending Michigan State University for both her undergraduate degree in Zoology and her doctorate of Veterinary Medicine. After graduation, Dr. Rivard moved to San Diego for a year long rotating internship and fell in love with Southern California. Dr. Rivard has interests in feline medicine, soft tissue surgery, orthopedics, as well as many areas of internal medicine. She enjoys the challenges of veterinary medicine and the potential to learn from each patient she meets. When not at the hospital, Dr. Rivard enjoys hiking, yoga, trying new breweries, and spending time with friends, family, and her cat, Truman.